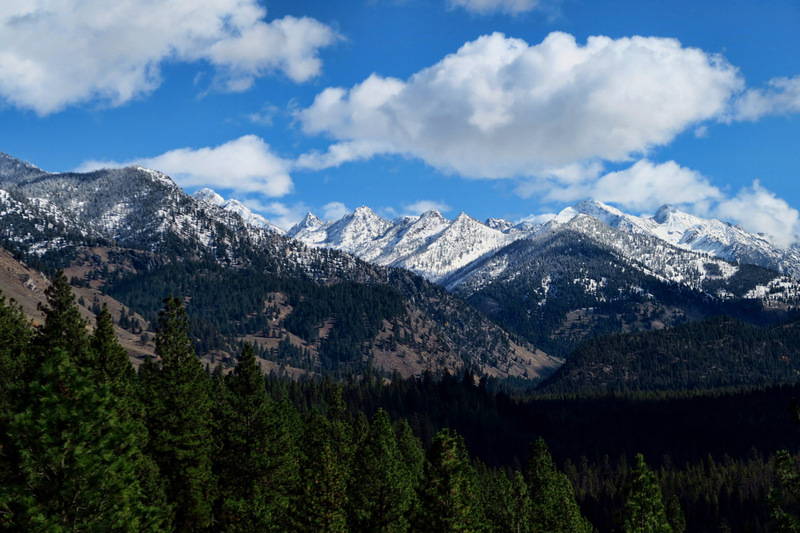 After reading friend’s blog posts all summer from the Sawtooth Mountains, I have my heart set on seeing that mountain range. I’ve been planning this route across the Banner Summit and down into Stanley for months. But the strange weather patterns that pummeled the Northwest coast are now moving across the mountain range, dropping temperatures into the teens on the heels of the rains. I’ve been watching the weather several times a day, vacillating on whether to go for it, or give up for another year. 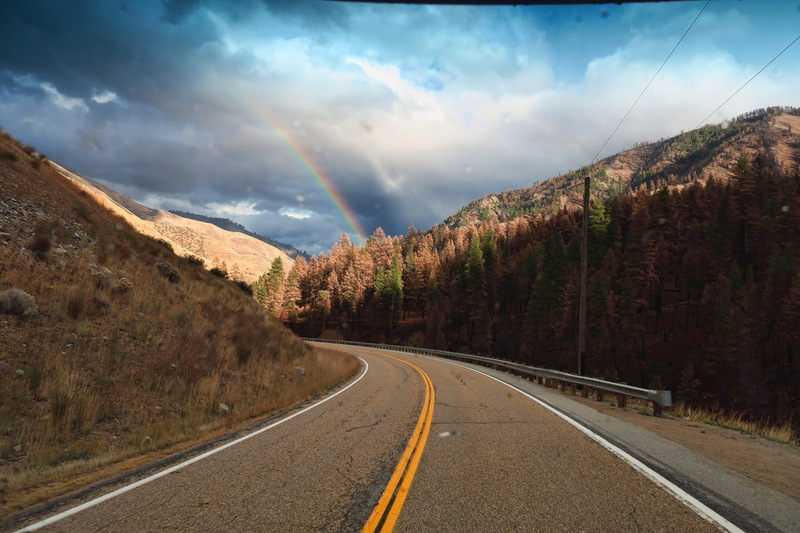 I’ve seen more rainbows along Idaho Scenic Byways than any place else. 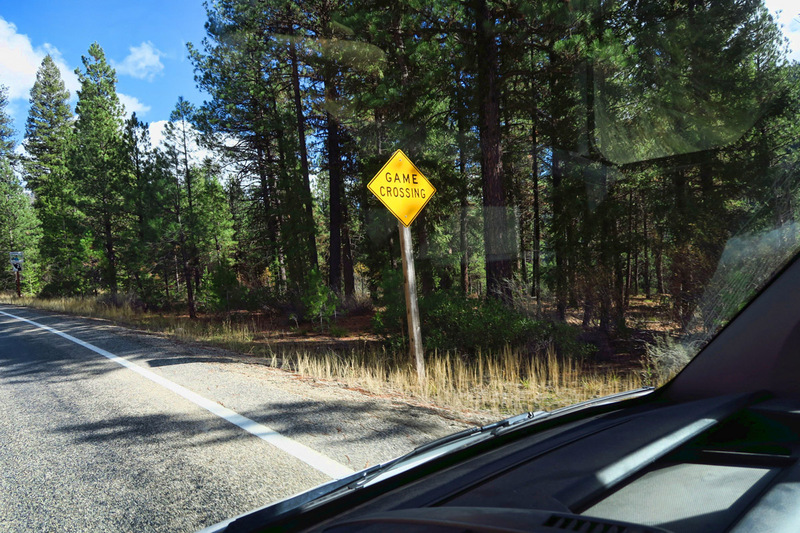 I hadn’t noticed until Don pointed it out, but instead of “Wildlife Crossing,” the signs in Idaho say “Game Crossing.” Fair game? 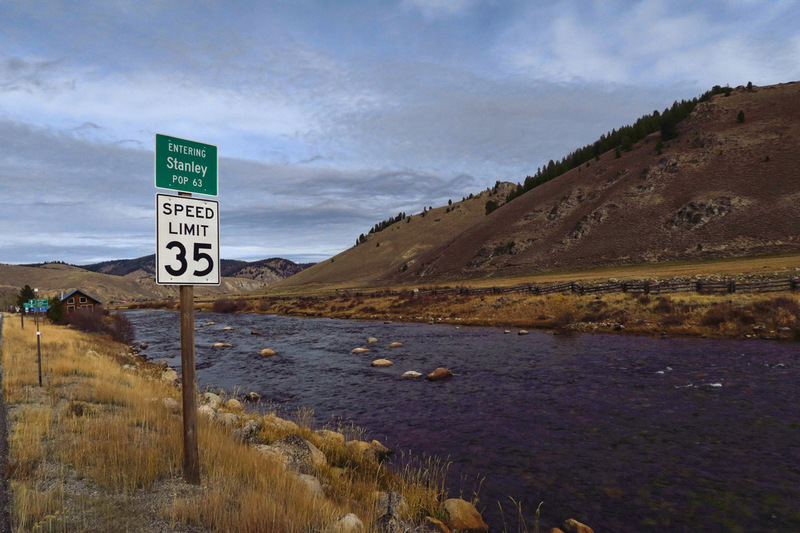 Stanley, Idaho has many aspects that appeal to me. First of all, it’s only got a population of 63 people. 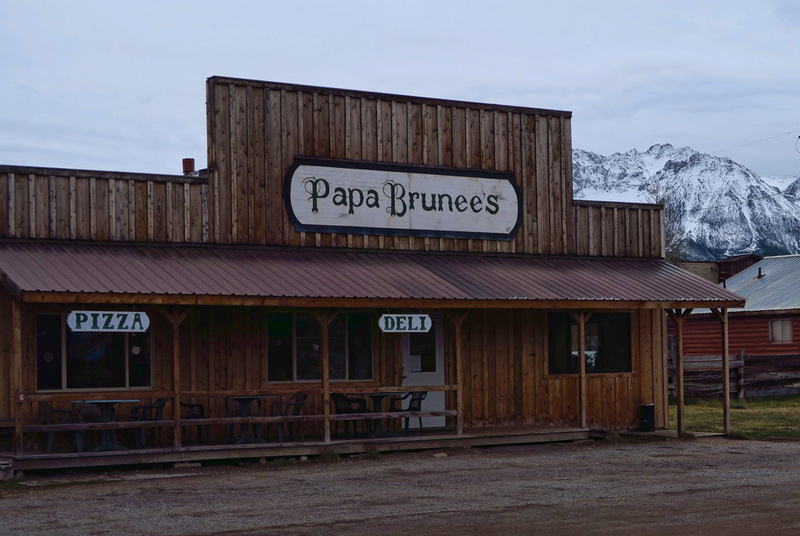 That tells me it’s likely to be quirky and eccentric, similar to the imaginary town of Cicely, Alaska in the old TV series, “Northern Exposure.” And it sits in the foothills of one of the most gorgeous mountain ranges in the Northwest, the Sawtooth Range. 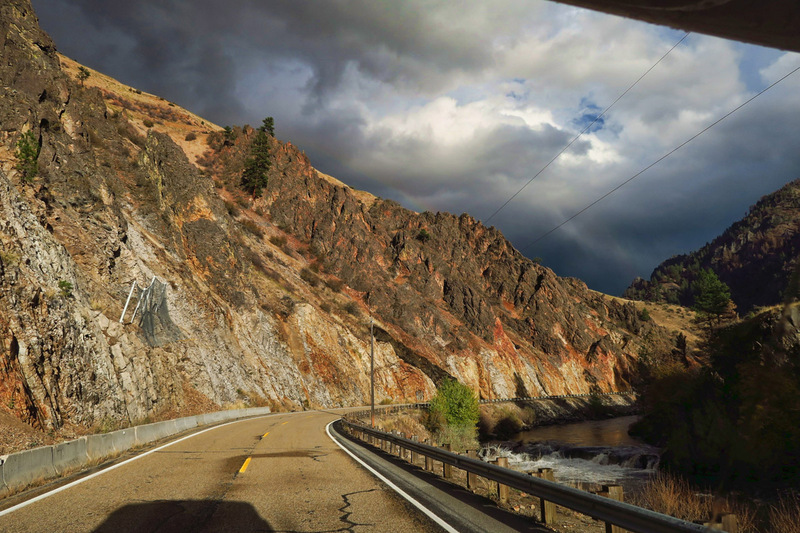 And “a river runs through it,” more specifically that Salmon River that I vowed to follow all the way through Idaho. 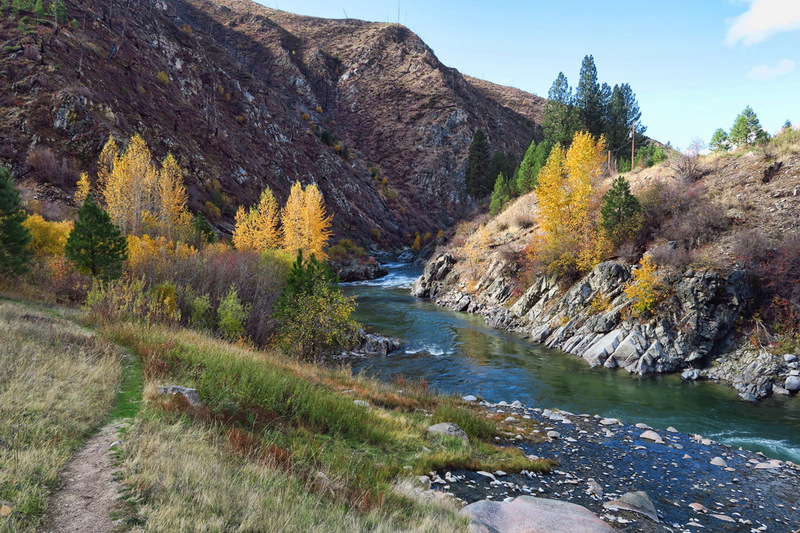 In fact, the headwaters of the Salmon start in these same foothills, as well as many picturesque lakes in the area. But Stanley also has another claim to fame. As blog follower Nancy pointed out, Stanley is reported to be one of the coldest towns in the lower 48. Stanley’s alpine subarctic climate is caused when cold air from the mountains gets trapped in the valley, resulting in extreme temperatures. Frost occurs on average, 290 mornings out of the year. 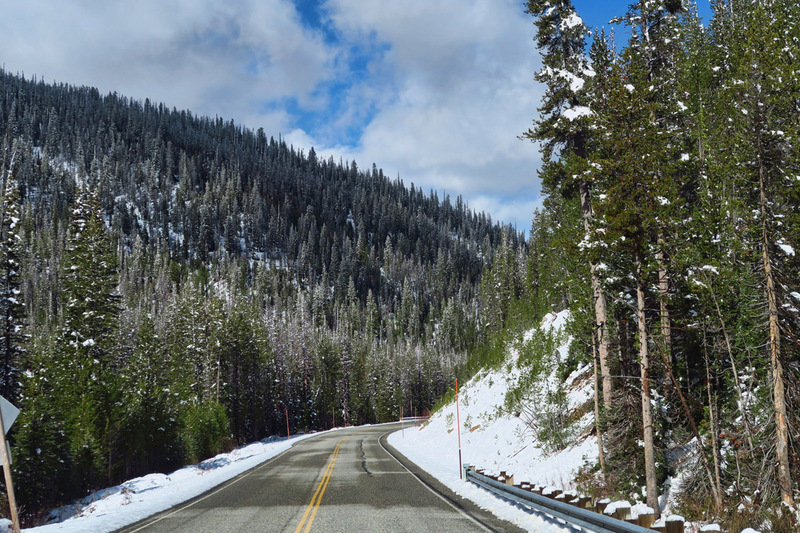 We have been positioned to move up into the mountains from McCall, following the Ponderosa Pine Scenic Byway all the way through the Sawtooths. But a cold snap is on the way with predicted lows down to 16°. I’ve had the Winnie down to 17° before, but that was with electric power and a 100W lightbulb in the plumbing bay for warmth. 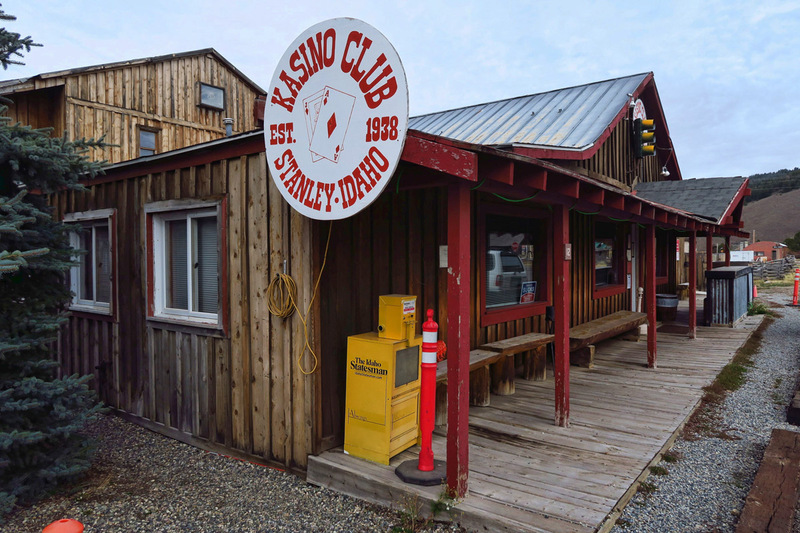 I tried researching a campground in Stanley with hookups, but everything appears to be closed for the season. I’m not even sure we will be able to find a place to stay, let alone not get frozen in up there. Or worse yet, halfway there! 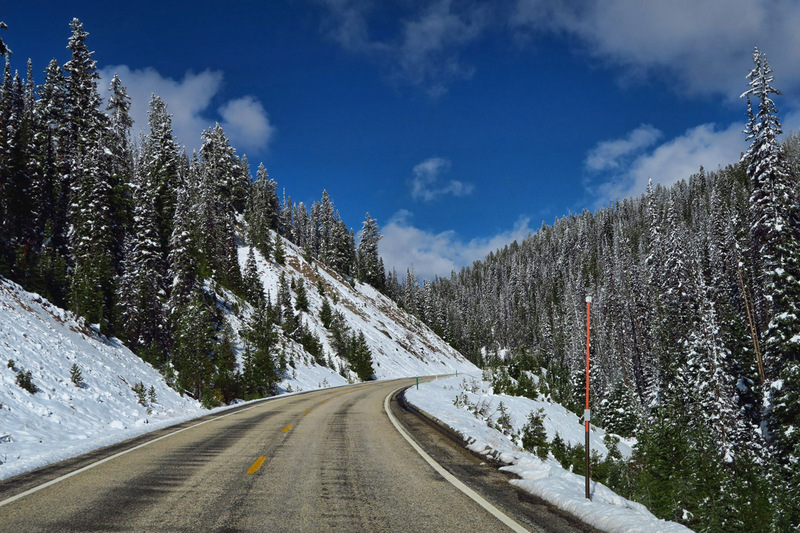 Highway 21 is prone to closures during winter months due to heavy snowfall. 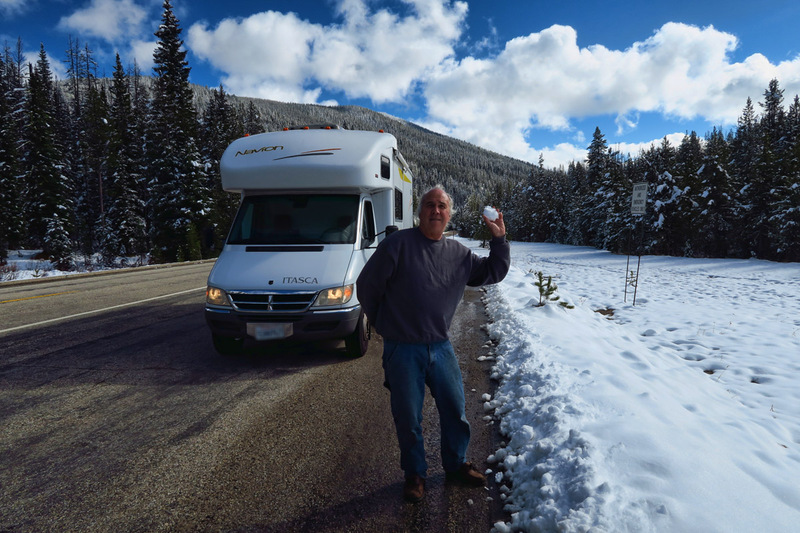 Throughout this entire two month caravaning odyssey, Don’s response has consistently been, “Do whatever you would do if I weren’t here.” So it’s decided…we’re going for it. We’ll move on in that direction with a stop in Kirkham Campground to wait out the two coldest nights. 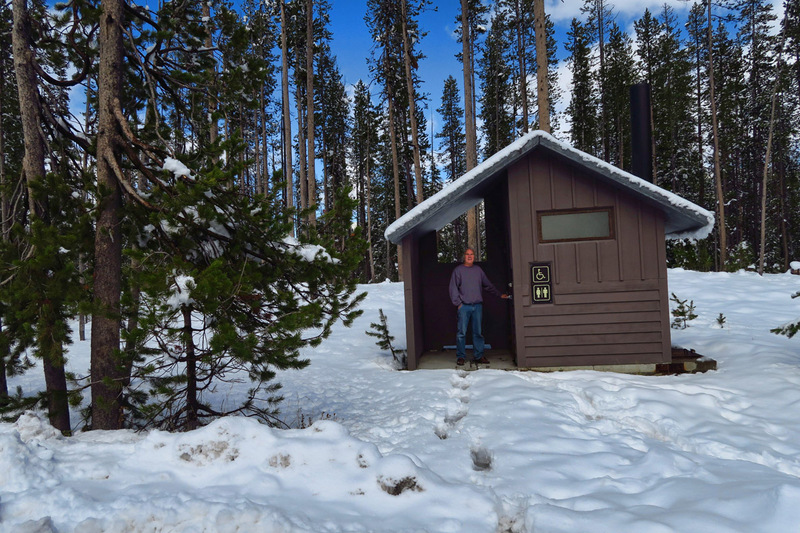 A stop at the McCall Ranger Station confirms that the campground is still open. 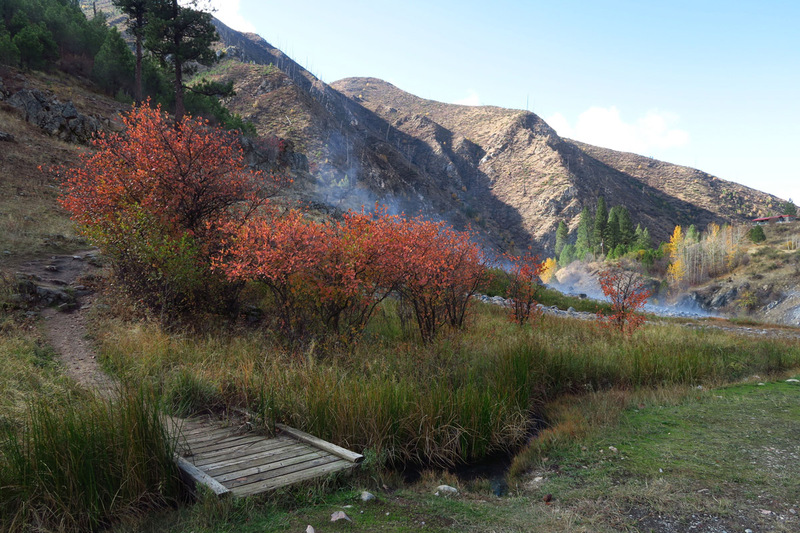 Along the South Fork of the Payette River is Kirkham Hot Springs and Campground. 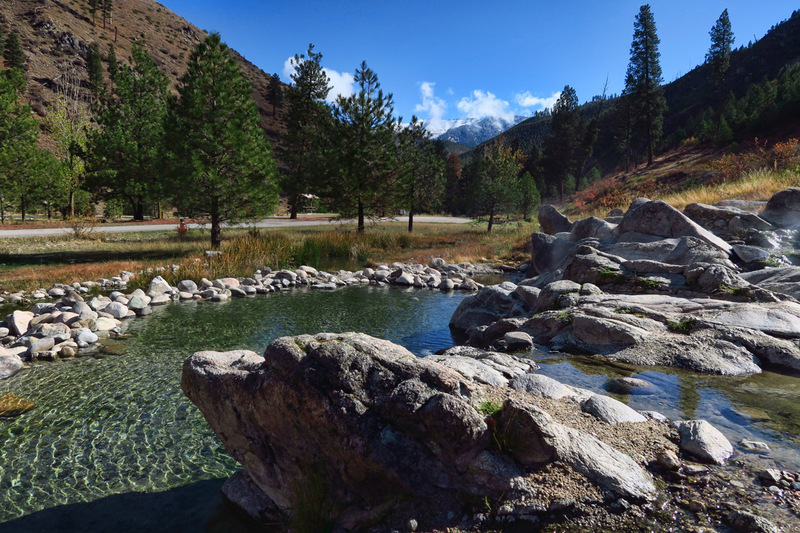 There are upper pools right by the campground, and lower waterfalls. 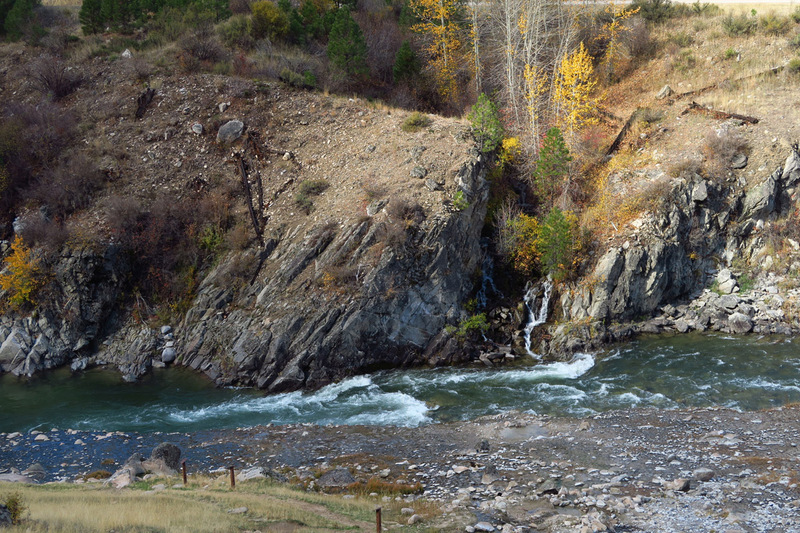 Waterfall across the Payette River. Steam all around seems to keep the temperature from plummeting. 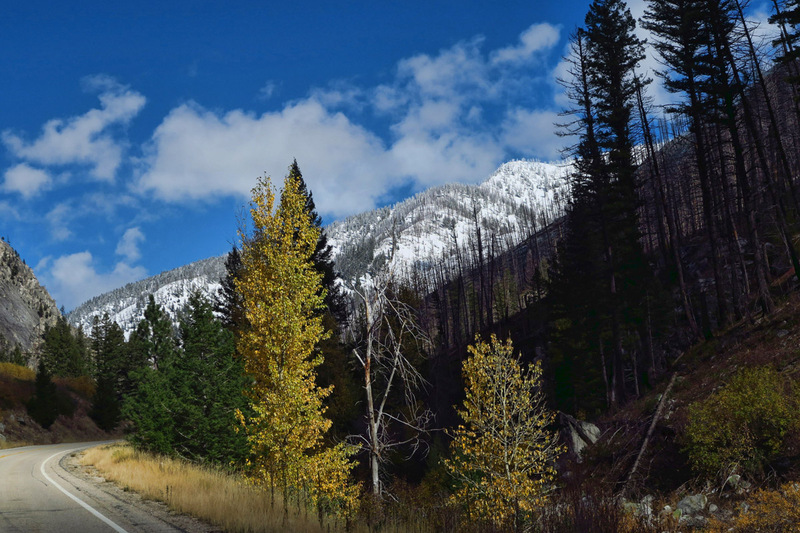 Highway 21 from Lowman to Stanley runs along the South Fork of the Payette River. 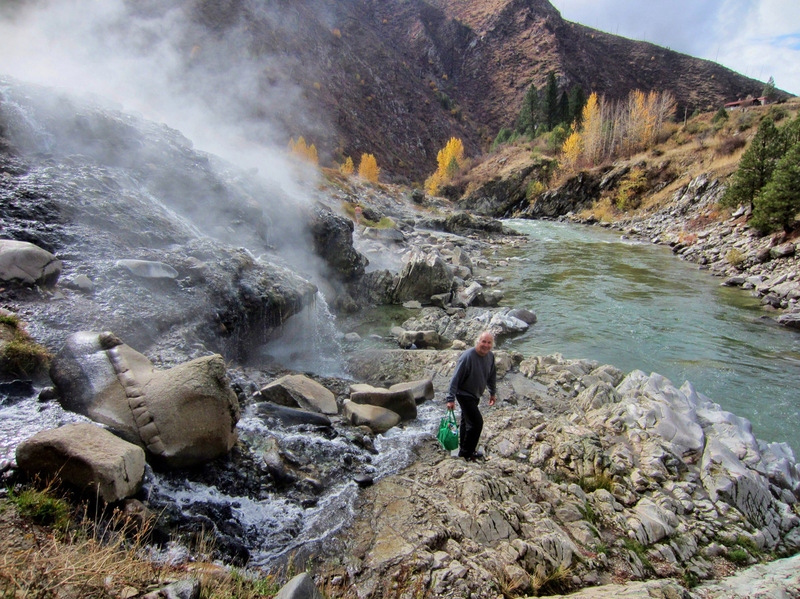 This is one of the most prolific locations for hot springs right along the riverbed. 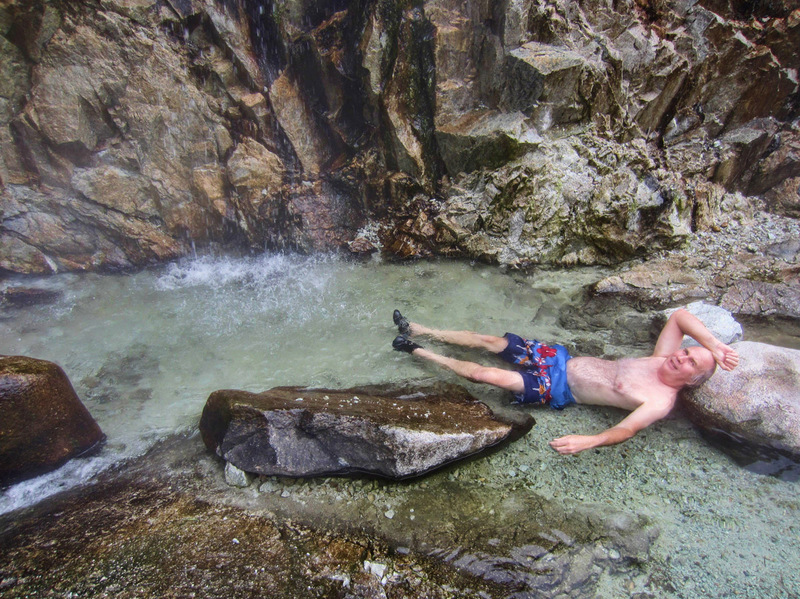 Just down the stairs from the Kirkham Campground is a series of pools and waterfalls of varying degrees. 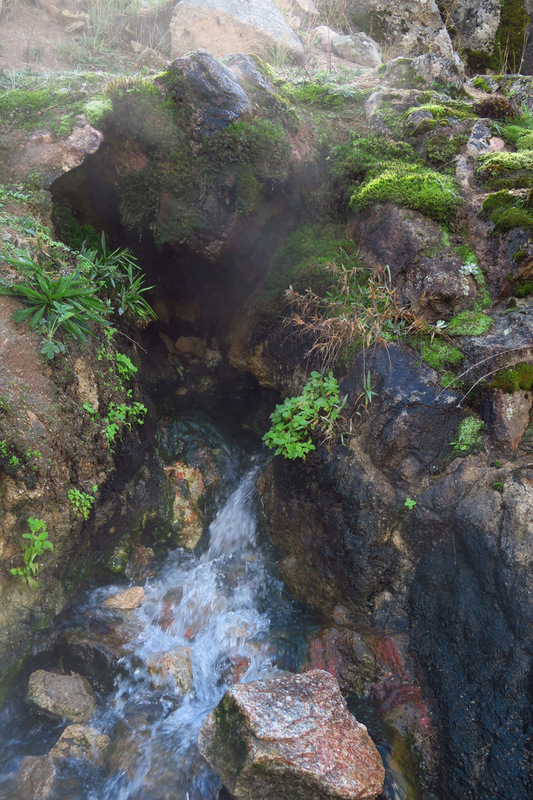 The water shoots out of five different springs overhead, cooling down as it cascades over rocks into the river. There’s no better way to warm the bones than by soaking in a pool of steaming hot water! Exploring the pools down below the campground. I’ve not seen Don this relaxed since Mexico! Although the forecast calls for lows in the teens, close proximity to the steaming hot water seems to keep the campground warmer as well. Even though snow continues to accumulate on the mountains to the east of us, we don’t even get a coating of frost on the windshield. 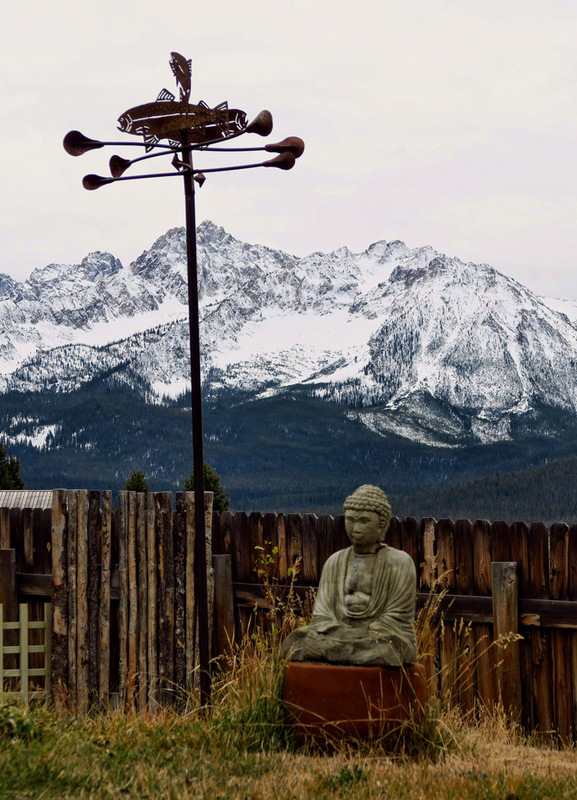 First glimpse of the Sawtooth Range from Grand Jean. 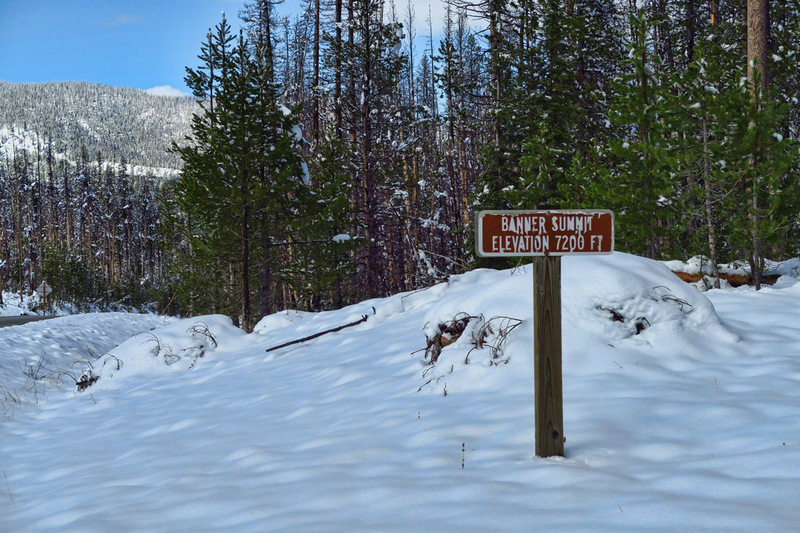 Banner Summit, gateway to the Challis National Forest. 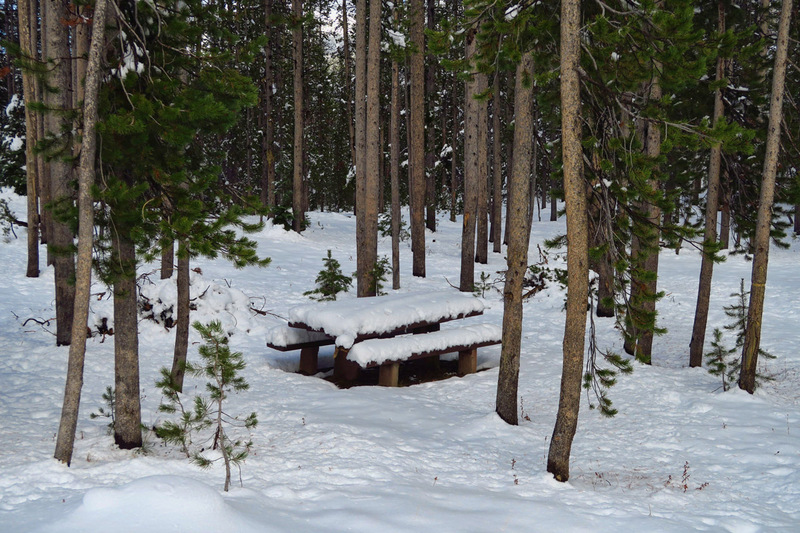 Picnic Area shows considerable fresh snowfall, now cleared from the road. Downtown Stanley, just as quirky as I hoped you would be! This appears to be a great music venue, though closed for the season now. 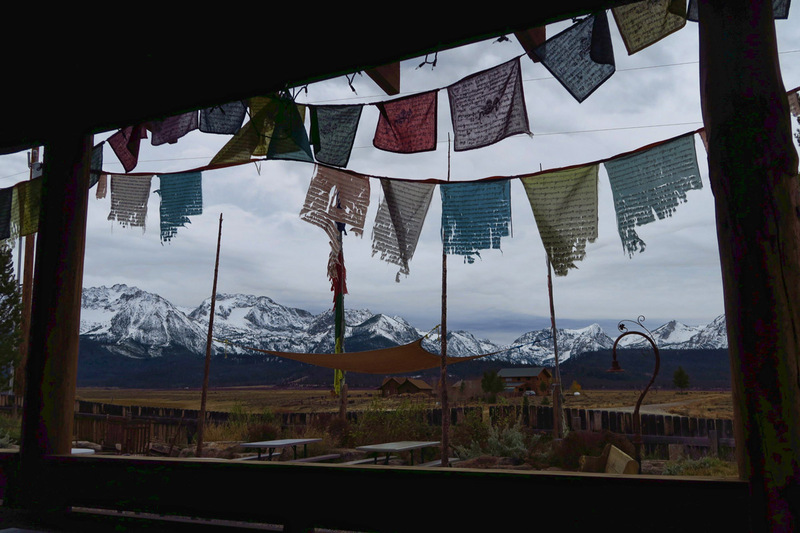 Tibetan Prayer Flags off the patio of the Stanley Hotel. Yep. this could be Tibet, if only it were a different version of Buddha. 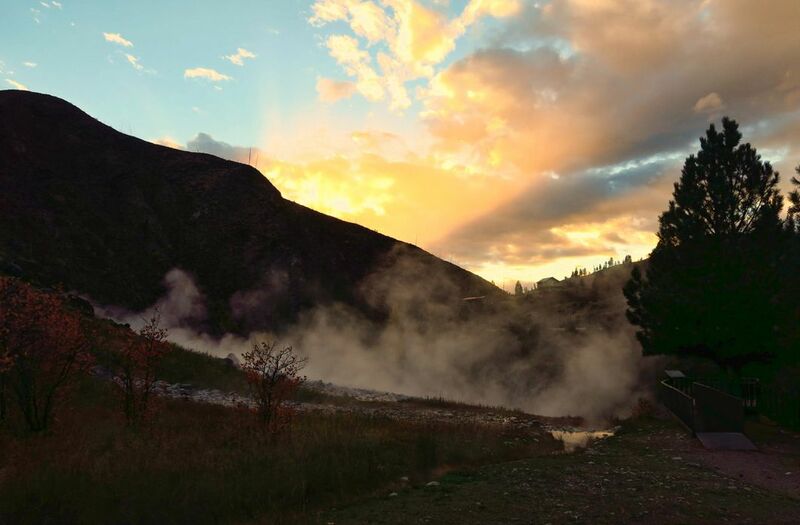 This entry was posted in Idaho and tagged Banner Creek Pass, Kirkham Campground, Kirkham Hot Springs, Stanley by Suzanne. Bookmark the permalink. 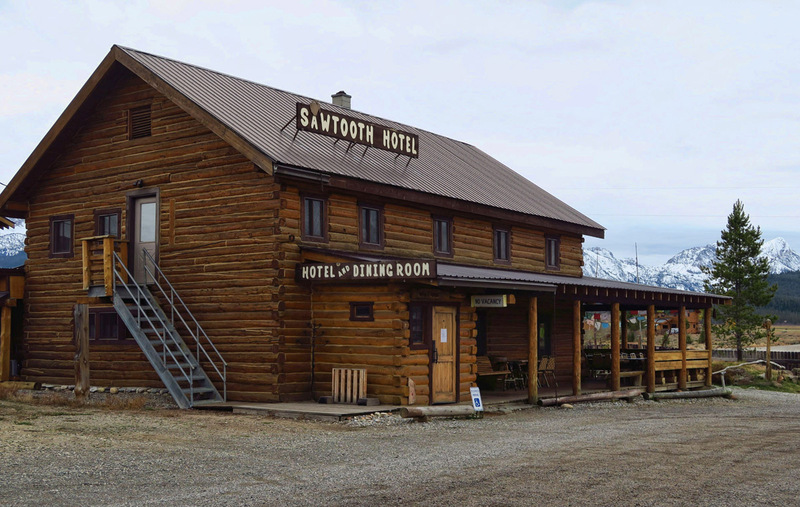 Ahhhh…the Sawtooths. I think it is the most beautiful range in the country. Years ago where the hotel is, there was a man who owned it and had three RV spots. He was so neat–I swear he polished every piece of gravel on the property. He had more rules that I’ve ever seen in a campground. I’m not sure if the restaurant is the same because I can’t remember the name. I do remember that Rich and I had the best salmon we every had, there. I laughed at the population. When Rich and I used to go go Stanley, the population was 69. When I went in 2010 in had climbed to 100 maybe 103–I can’t remember. I guess the winter was too harsh for some to stay the winter. Don’t miss Redfish and Stanley Lakes. I guess their campgrounds are close, but they are beautiful. There were always people in the steam baths. You could smell the sulphur as you approached. I’ve spent a lot of time in the Stanley area, and I love it. So glad you “went for it”. It was in the 20s at night when I camped there the last time. You are so brave to go there in the cold and snow, but wow the mountains are beautiful with all that white! I’m so glad you made it to Stanley so I can visit vicariously! Lovely and colorful photos! Some of those rock formations are interesting, too. 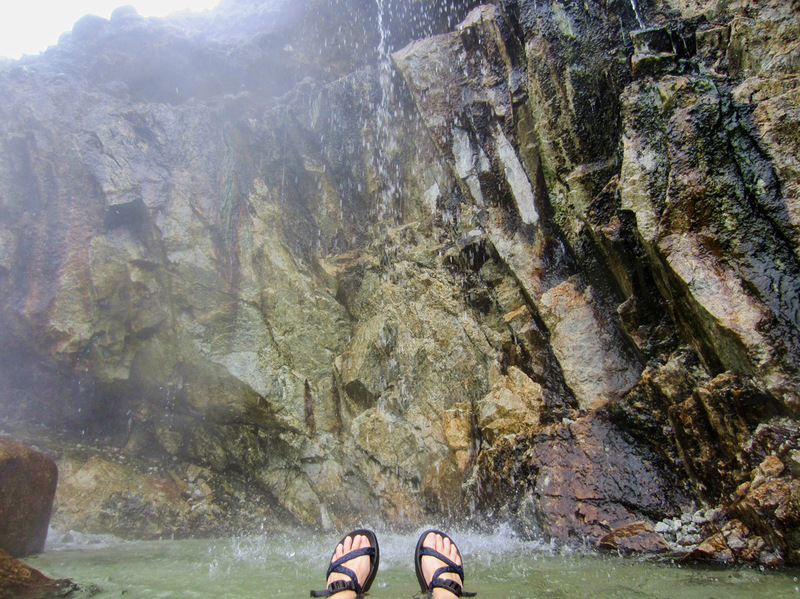 Hot springs have extended your season there. Thank you, Suzanne . Your photography is excellent! You’ve really developed a keen eye. I’m so happy you’re getting to see all this in the winter…. all the more reason to see it again in spring or summer!!! what a guide you are and thanks for the fabulous photo’s..
Re: Don complaining about the potential of cold . Let’s see, he’s got propane, forced air heat, a generator, warm blankies and a tour guide…. Time to remind him: “Gotta be tough to live in the West.” Especially in the mountains. 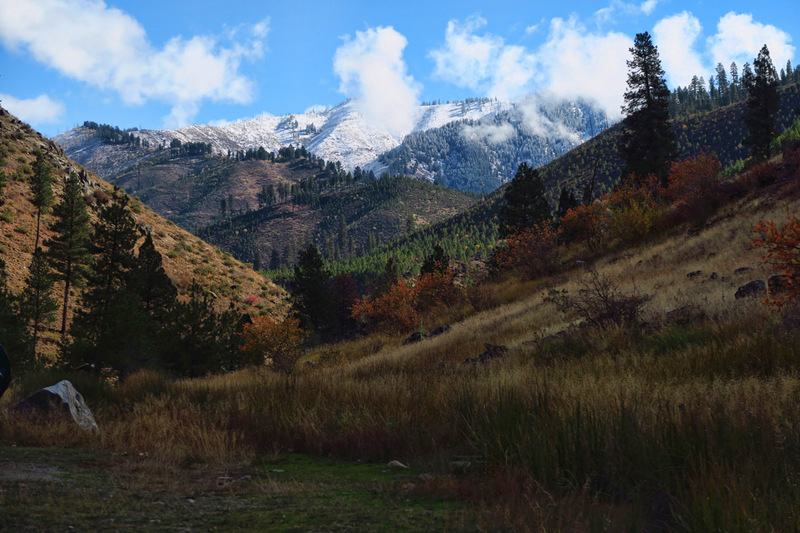 Besides, seeing the Sawtooths with snow on them is worth a bit of (potential) suffering. “Downtown quirky” is such a delightful place to be…happy to hear Stanley passed the Cicely test for you. 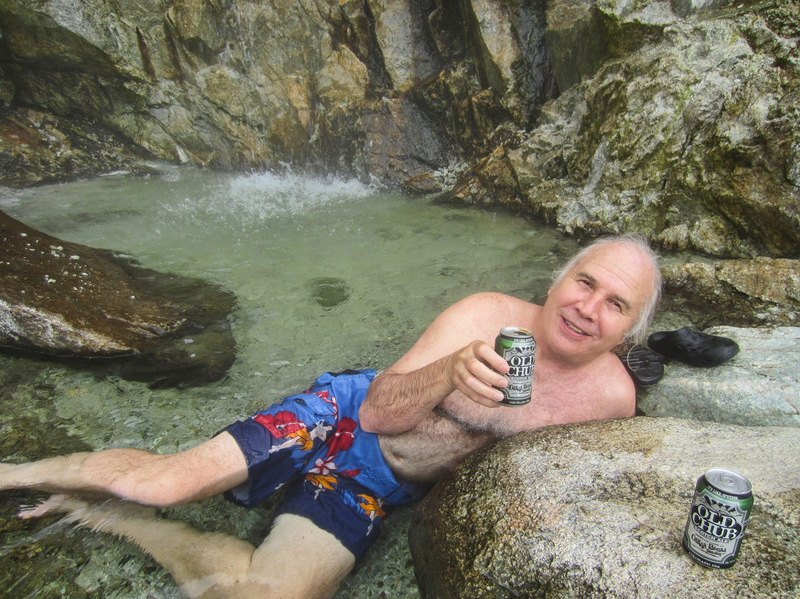 And that natural soak (with beer none the less!) looks divine! This blog post snapped me out of my current dread of coming winter (in middle Tennessee–sharp, gray, cold) and into the holiday spirit…Beautiful photos! You are one gutsy gal!